The Captain X3 Sub-Ohm Tank is the latest in vaping technology brought to you by iJoy. This tank is made of beautifully crafted stainless steel and Pyrex glass making it a sleek addition to your vaping supply collection. It has a large 8ml tank capacity and a dual-slotted airflow ring that can be found at the bottom of the tank. 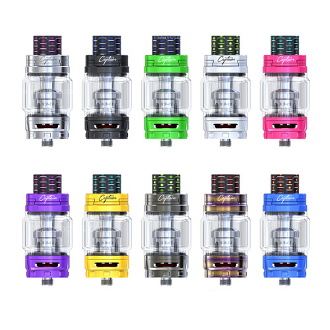 A great feature that utilizes new technology is the replaceable advanced X3 coils this tank employs. There are several variations of these coils to choose from. They give you even more of an opportunity for customizing your vaping experience. The tank also has a quick and convenient sliding top-fill design. This along with the replaceable coils makes maintenance a breeze.